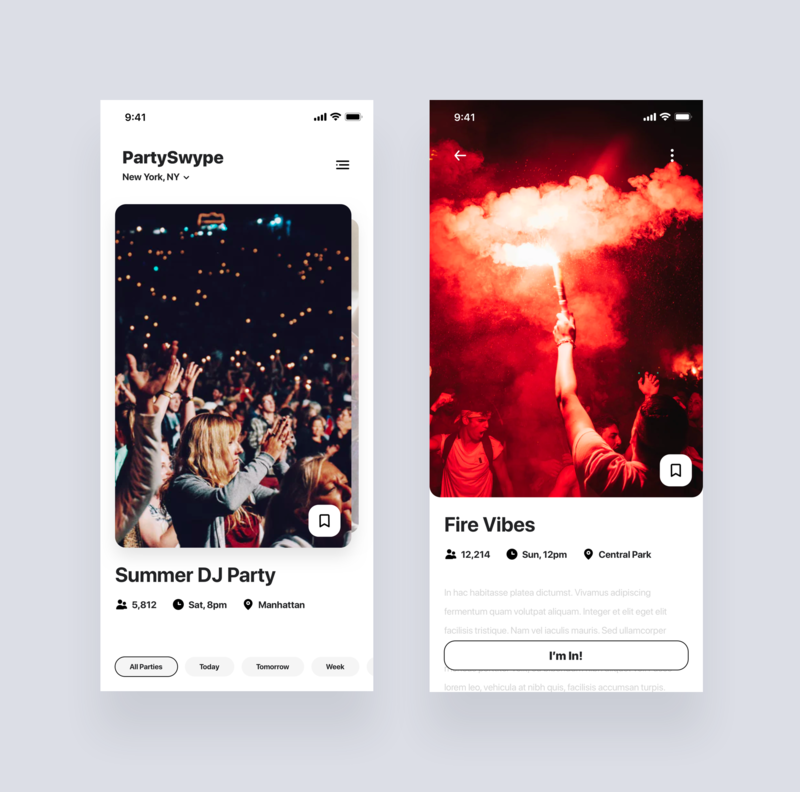 Brief: To design a mobile app to find nearby parties in tinder style. 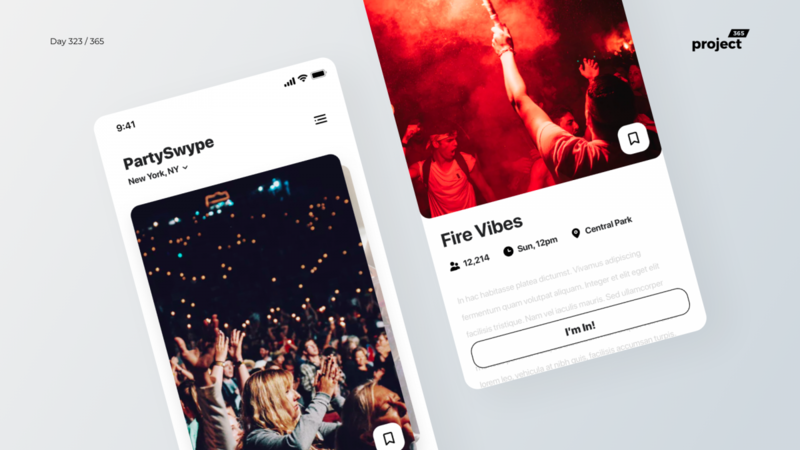 Here’s a minimal Tinder-style swipe-able party finder. Tried something new.. What do you think?